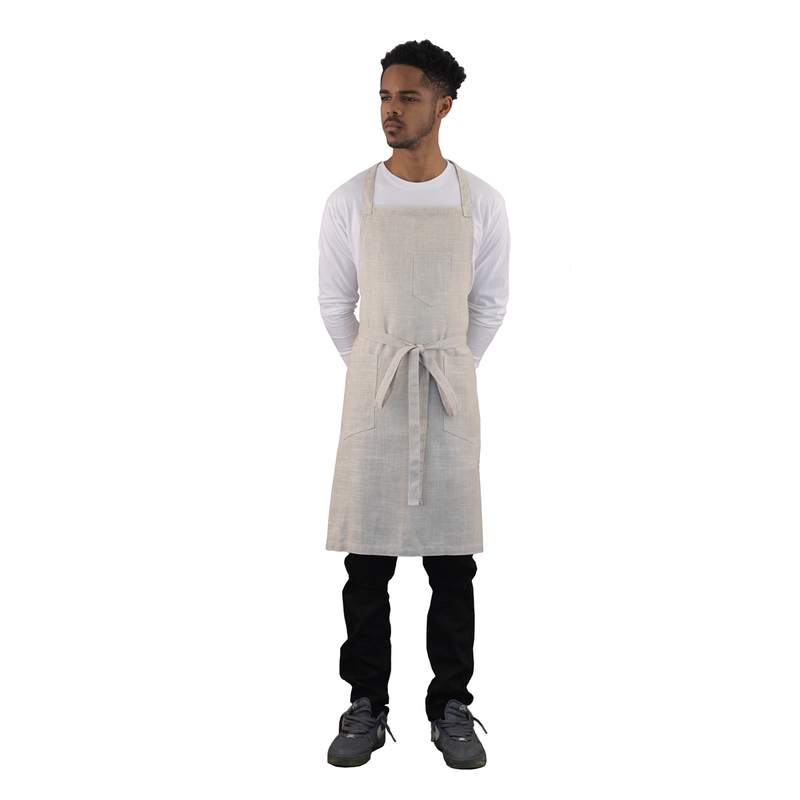 Our unisex linen bib apron is without comparison in the marketplace! We used a 55 linen/45 rayon blend in order to achieve easy washability and drape. 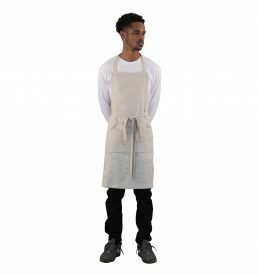 These natural, textured, rustic linen aprons work well in any environment…from a vintage-themed wedding set in a wooded glen to a sleek modern venue in Manhattan! 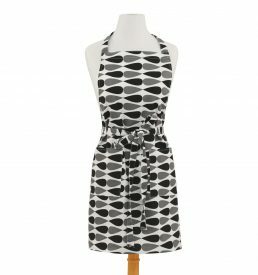 This linen bib apron has a specific pen -pocket and 2 front patch-pockets to hold I-pad mini or order pad or cell phone. Machine wash and tumble dry for easy care. Lightly iron as needed. Our unisex linen apron in natural color is without comparison in the marketplace! We used a 55 linen/45 rayon blend in order to achieve easy washability and drape. These natural, textured, rustic linen aprons work well in any environment…from a vintage-themed wedding set in a wooded glen to a sleek modern venue in Manhattan! 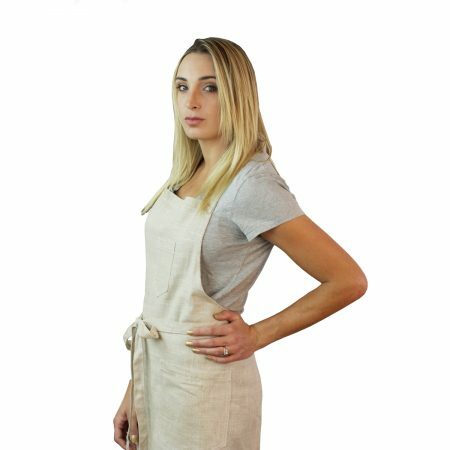 This linen apron has a specific pen -pocket and 2 front patch-pockets to hold I-pad mini or order pad or cell phone. Machine wash and tumble dry for easy care. Lightly iron as needed.